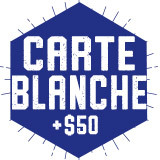 Each fall, all students are enrolled in the Carte Blanche Plan. Returning students have the option to change plans during the months of May and June when online enrollment is open or during the first two weeks of the fall semester. Unused meals expire at the end of the semester. Unused Lyons Bucks roll over from fall to spring and expire at the end of the spring semester. 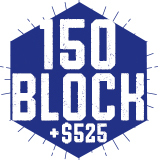 Carte Blanche Unlimited (all you care to eat) meals at Chase Dining or Lyons Swipe meals at Emerson, Hood and Davis Spencer Café with $50 Lyons Bucks for snacks and 10 guest meals per semester. 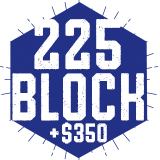 225 Block Plan, 225 (all you care to eat) meals at Chase Dining or Lyons Swipe meals at Emerson, Hood and Davis Spencer Café with $350 Lyons Bucks and 10 guest meals per semester. This equates to approximately (2) all-you-care-to-eat meals per day and Lyons Bucks for additional meals and snacks. This equates to approximately (1-2) all-you-care-to-eat meals per day and Lyons Bucks for additional meals and snacks. Please note: the cost for each meal plan is the same. 3. Completing a Meal Plan Change Form in the Dining Services Office during the first two weeks of the semester (8/27/19 - 9/10/19).